Priority Moving, Inc. – San Diego Movers strives to provide breaking news especially when it relates to the moving industry and protecting the moving public. Unfortunately there have been rogue moving companies in California that have taken advantage of the consumer. These are generally companies that advertise as movers but do not have a proper PUC license or insurance. Once they begin the move, they hold the goods hostage and raise the price to the consumer. The consumer generally has no choice but to pay whatever the company is demanding. This is illegal but happens much too frequently. It finally took a new law, Assembly Bill (AB) 2118 to try and put a stop to this. 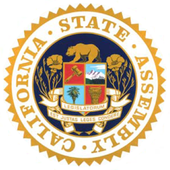 On October 1, 2012, Assemblymember Betsy Butler (D-Los Angeles) announced that Governor Brown has signed her legislation, AB 2118, updating the Household Goods Carrier Act in order to protect consumers from fraudulent moving companies. “AB 2118 would bring a much needed update to the Household Goods Carrier Act by going after illegal unpermitted moving companies that prey on unknowing consumers,” said Assemblymenember Butler. “These criminals will quote low prices to lure unsuspecting consumers only to later hold their belongings hostage for more money. No one should have to endure this type of treatment during a life transition.”“… In addition, AB 2118 will help the moving public by giving the Public Utilities Commission the additional tools they need to address issues related to brokers and illegal movers who misrepresent their identity.” AB 2118 will also direct the Commission to create a “Know your Rights” website that will be linked to all PUC-permitted moving companies’ websites in order to educate and promote consumer rights and protections. So how do you find a good, reputable mover? Please do your research, look on the websites of the California Moving and Storage Association ( CMSA) and the American Moving and Storage Association (AMSA). If you want to use the best of the best, make sure your mover has the ProMover designation. Click here for a list of California ProMovers. Of course call Priority Moving, Inc. at 858-689-2525 to discuss your move. We can handle all of your moving needs. 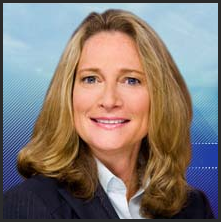 Assemblymember Betsy Butler was elected in November 2010 and represents the 53rd Assembly District, which includes the communities of El Segundo, Hermosa Beach, Manhattan Beach, Redondo Beach, Torrance, Lomita, Marina del Rey, Playa del Rey and portions of the City of Los Angeles. Her legislative priorities include protecting seniors, improving access to services for veterans, protecting education and the environment. Assemblymember Butler was appointed to serve on the Assembly Budget Committee, the Budget Sub-Committee on Resources and Transportation, the Committee on Business and Professions, the Committee on Education, the Committee on Arts, Entertainment, Sports, Tourism and Internet Media and the Rules Committee. She is the Chair of the Select Committee on Aerospace, a member of the Select Committees on Domestic Violence, Financial Empowerment, Preservation of California’s Entertainment Industry and Regional Approaches to Addressing the State’s Water Crisis. 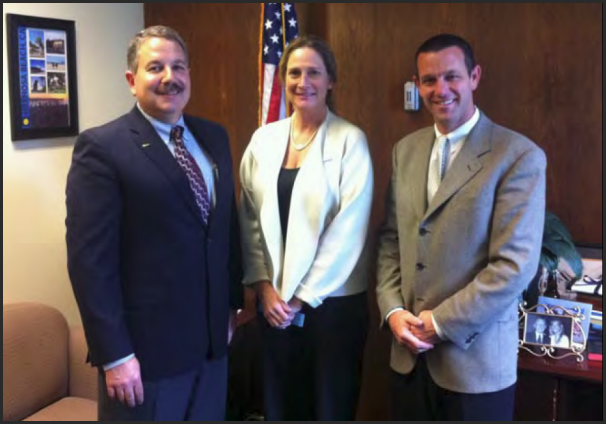 She also is a member of the California Commission for Economic Development. Betsy has a history of fighting for working families and healthy, safe communities at the local, state and national level and remains committed to job development and growth. Betsy’s commitment to public service was solidified during her years in college as an intern for State Assemblymember Lucy Killea, U.S. Senator Alan Cranston and Lt. Governor Leo McCarthy. After graduation, Betsy served as a field representative for Lt. Governor McCarthy where she served as a community liaison for twenty-nine cities across Los Angeles. She coordinated public policy and outreach regarding a wide range of issues including economic development, international trade and green technology investment as well as elder care and environmental protection matters. Prior to her election to the Assembly, she was a board member of Equality California, president of the National Women’s Political Caucus (LA Westside Chapter), and the former Director of Development for the Consumer Attorneys of California. Betsy remains committed to fighting for equality and fairness for all—priorities that she will continue to pursue in the Legislature. Betsy also served as an appointed member of the California Film Commission, where she worked to keep the film industry as a driver of the state’s economy. Betsy also served in the Clinton administration at the Department of Commerce in the International Trade Administration where she worked on the trade policy priorities of the early 1990s, including the Uruguay Round and World Trade Organization transformation matters, intellectual property rights and trade development. At the California League of Conservation Voters and the Environmental Defense Fund, Betsy helped create and solidify communities of support for strategic environmental movements, including carbon emission standard changes, water conservation and habitat protection policies. A resident of Marina del Rey and the South Bay area of Los Angeles for nearly twenty years, Betsy has been active in local grassroot organizations promoting green and responsible development in her neighbourhood. In 2006, then-Congresswoman Hilda Solis recognized Betsy for her activism and commitment to working families at the Congresswoman’s annual leadership luncheon.